Begin by cutting the cellophane in a rectangular shape. 1. 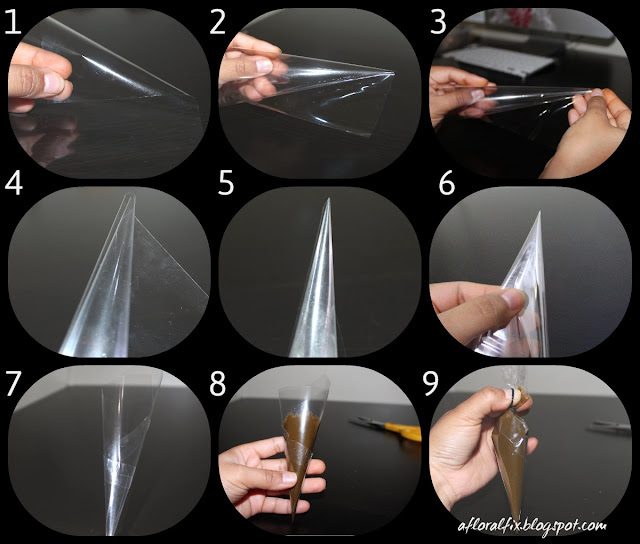 Take one corner of the cellophane sheet and fold over until tip is at the midpoint of the sheet. 4. 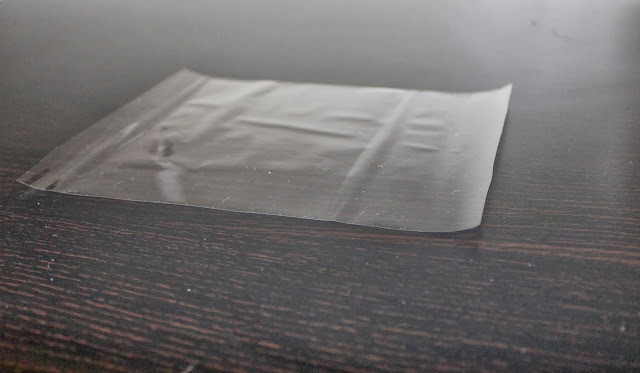 If the tip is not tight, pull on the free end of the cellophane to tighten. 5. Once you've done that, the tip should like like this. 6. Tape the seams of the cone. 7. Tape all the seams to prevent leakage as in the pic. 8. 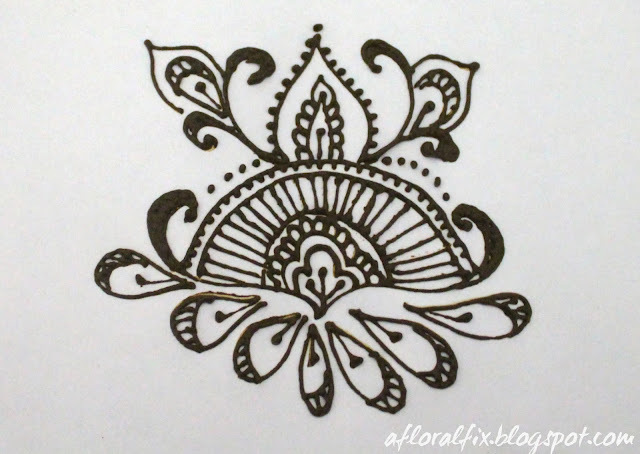 Now fill your cone with the henna and leave about 2-3 inches empty at the top. 9. 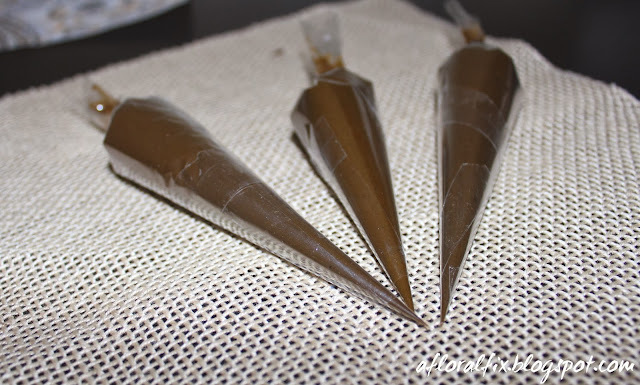 Use a rubber band to tie the top of the cone. 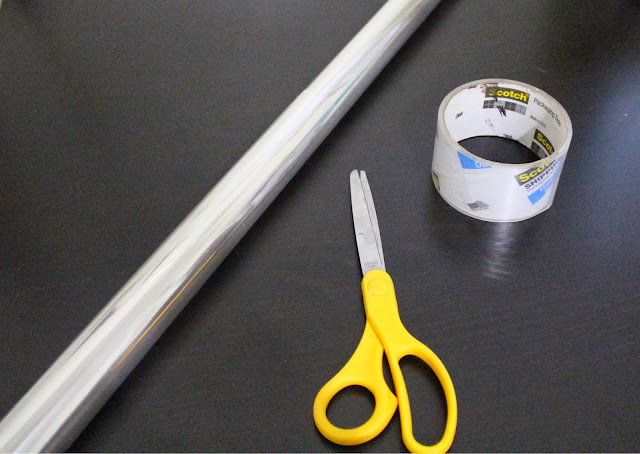 To use : Simply cut the tip. The less you cut the finer the lines.